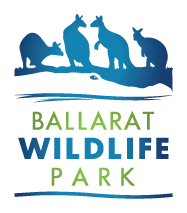 The Ballarat Wildlife Park is a privately owned business run by The Parker family and their team. Here at the Park we offer a nice comfortable walk around our facilities, with the chance to get up close and personal to some of Australia's most famous native animals. With over 80 kangaroos roaming free, around the Park, we give you the oppotunity to experience hand feeding these amazing animals. We also give you the chance to interact with koalas, wombats, and a variety of reptiles ranging from snakes to lizards and even a giant tortoise. You can enjoy lunch in our fully licensed cafe or bring along a picnic to have on our outdoor table and chairs, surrounded by the kangaroos. And while at the Park, why not ask our friendly staff about our 'animal experiences', which is a photo of you and an animal, professionally taken as your souvenir to take home.